One fabric bag and measures approximately 19" x 10.5" (47.5cm x 26.5cm) open and 10.5" x 6" (26.5cm x 15.5cm) closed. Exterior is manufactured in polyester and interior in cotton . 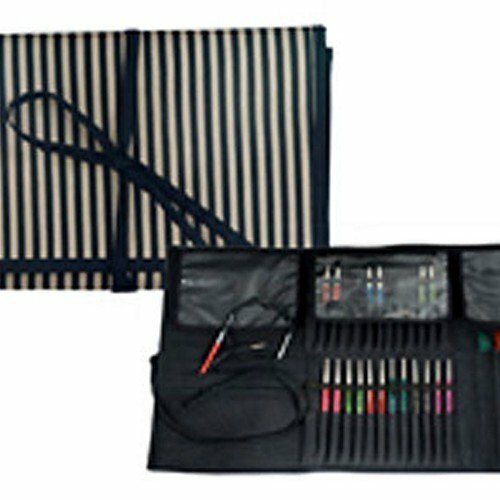 Well designed to accommodate a wide assortment of knitting needles and accessories. Packed in clear cello pouch. If you have any questions about this product by Knitter's Pride, contact us by completing and submitting the form below. If you are looking for a specif part number, please include it with your message.